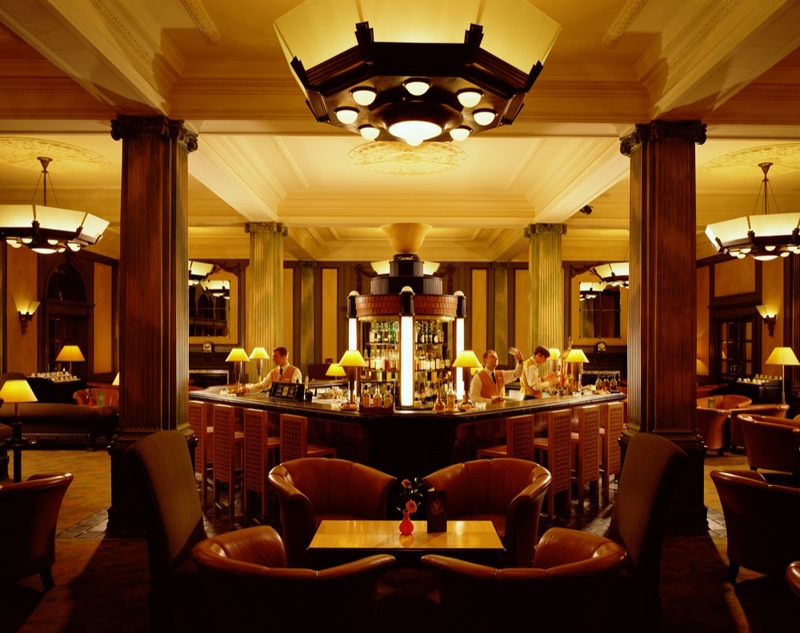 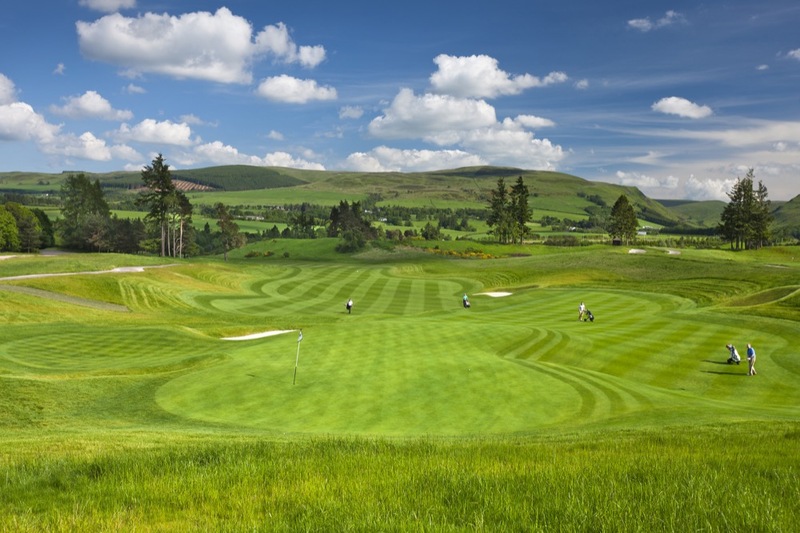 “The Palace of the Glens”—such is the phrase often used to describe the magnificent Gleneagles Hotel in Scotland, undoubtedly one of the world’s finest golf resorts, and Gleneagles should be included in absolutely every golf trip to Scotland, no matter how much it stretches the budget! 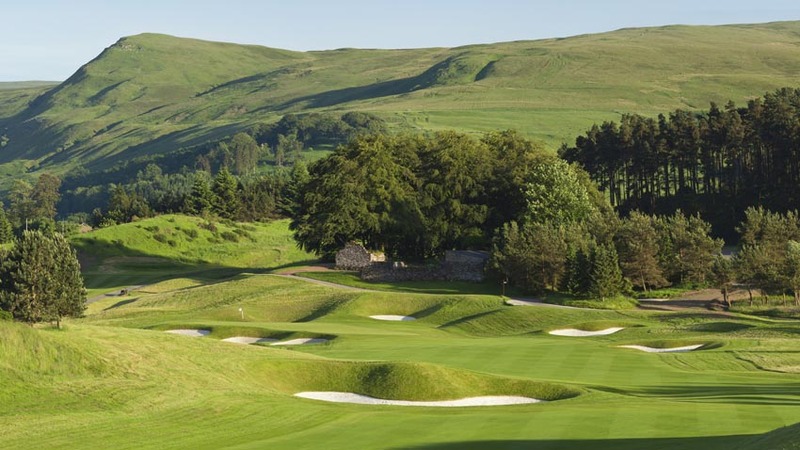 We would give anything to be able to spend a week at Gleneagles in Scotland, enjoying both the Gleneagles Hotel and the amazing, wonderfully scenic Gleneagles golf courses–Gleneagles Kings, Queens, and PGA Centenary. 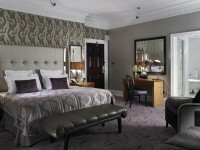 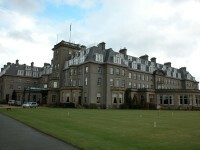 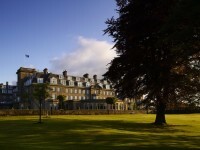 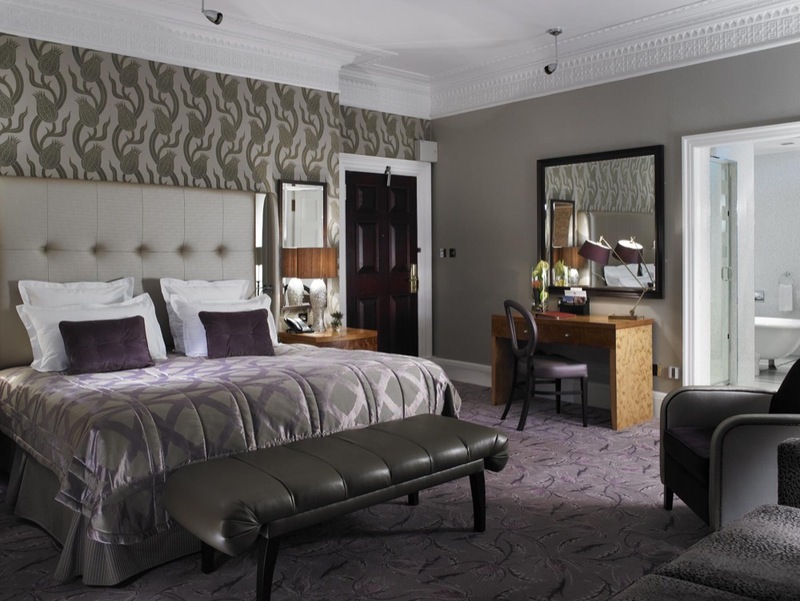 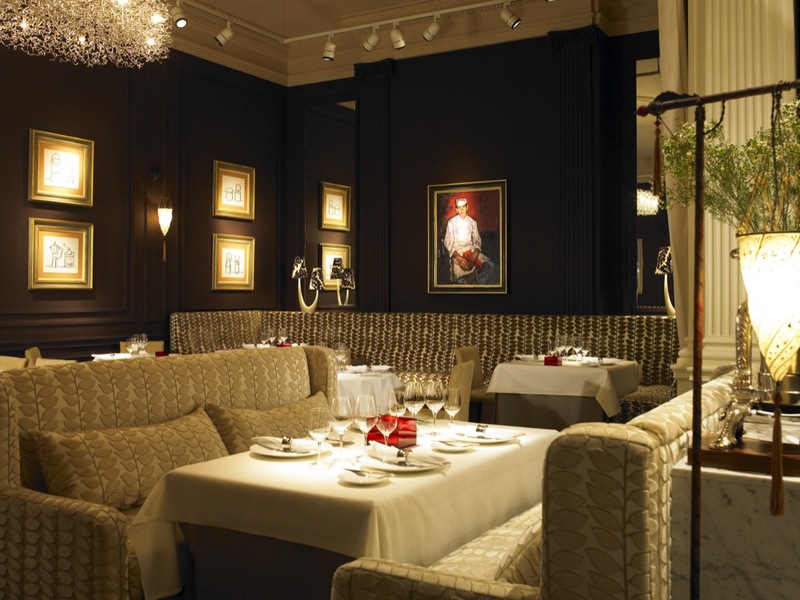 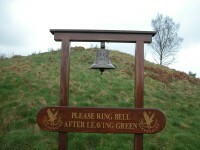 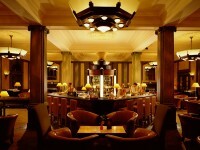 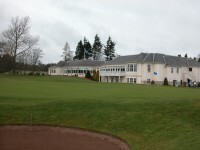 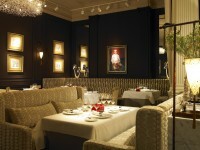 But we would settle for at least one night at Gleneagles! 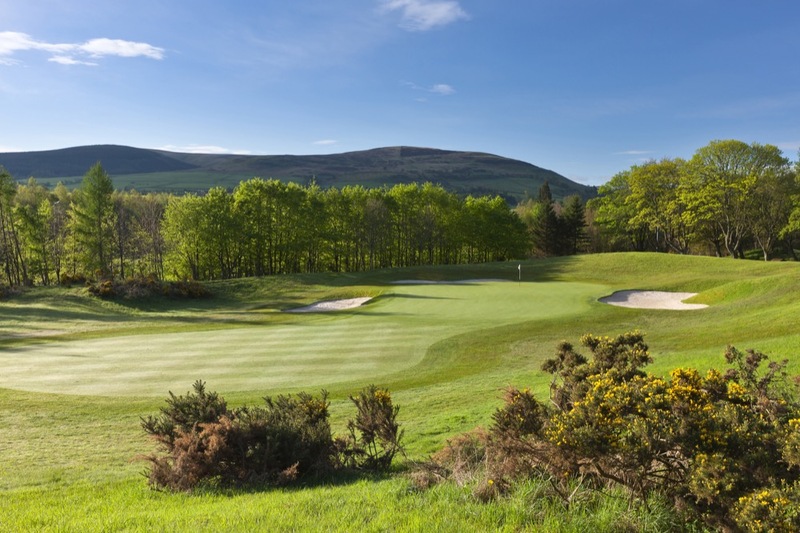 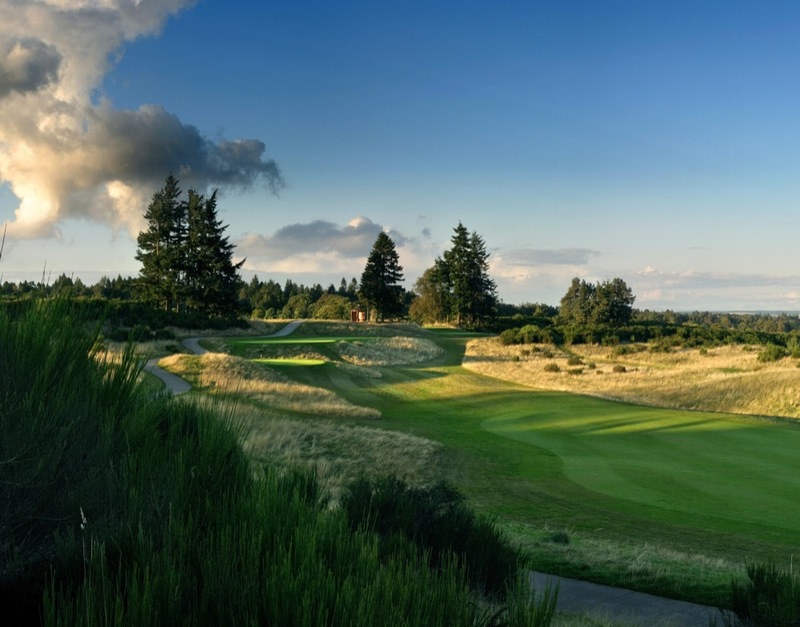 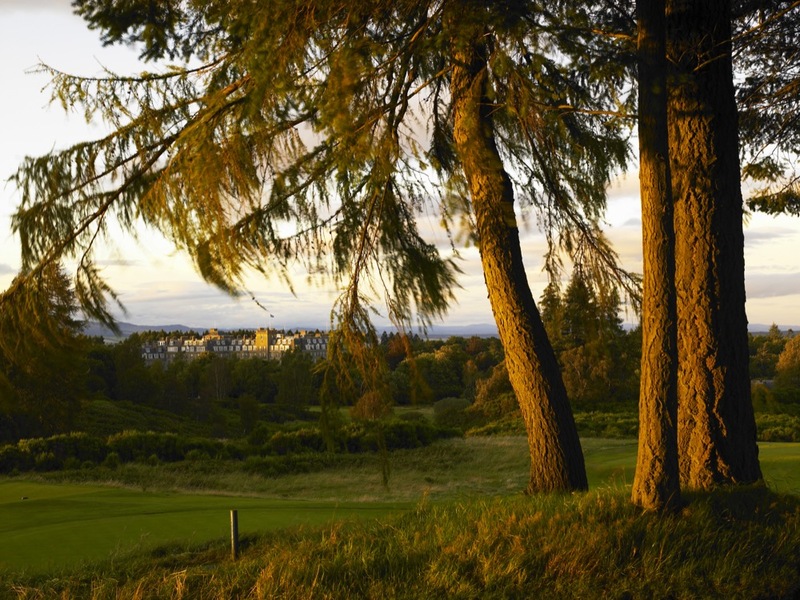 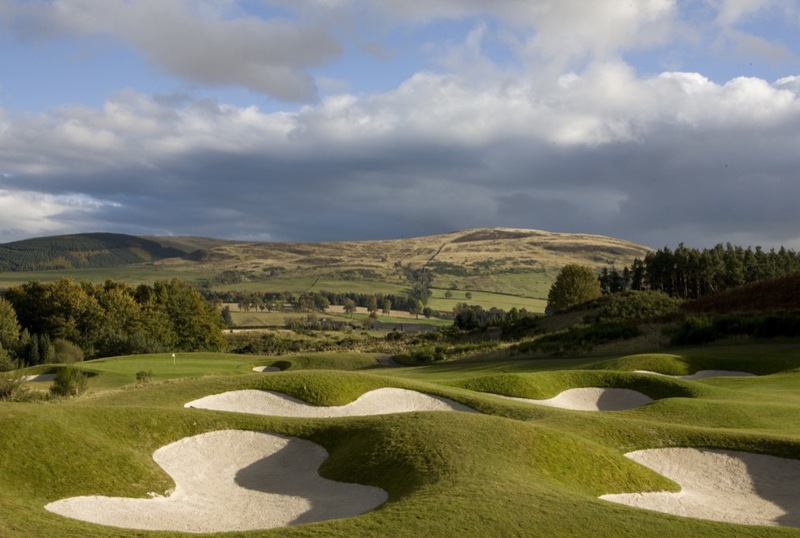 Gleneagles PGA Centenary Course has been widely recognized as one of Scotland’s greatest inland venues since hosting the 2014 Ryder Cup at Gleneagles. 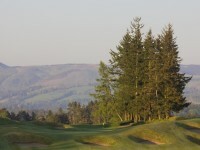 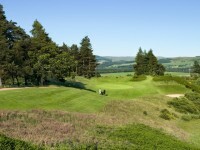 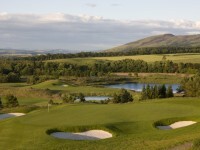 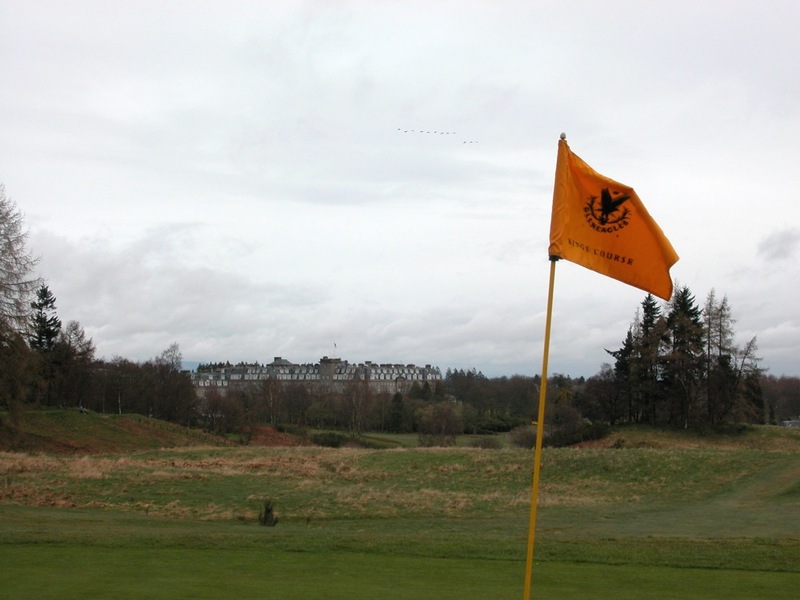 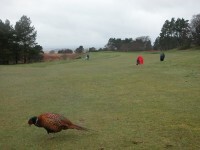 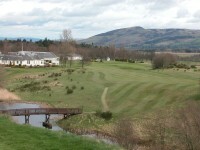 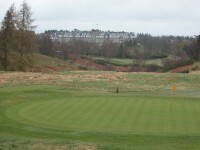 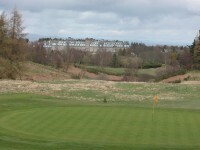 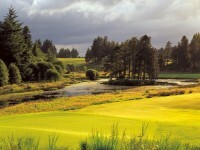 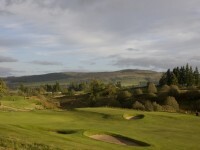 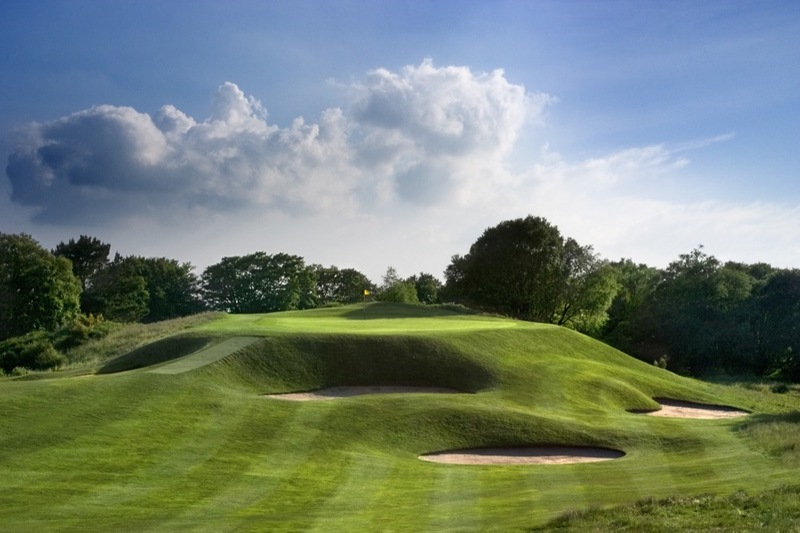 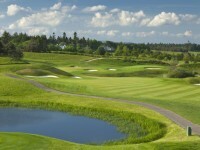 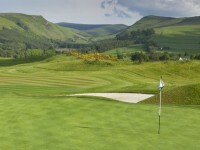 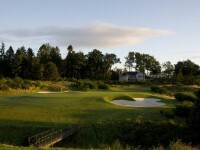 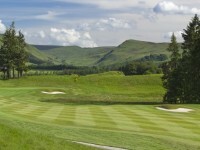 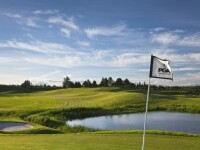 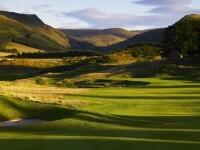 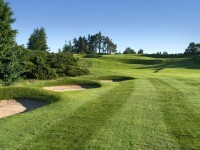 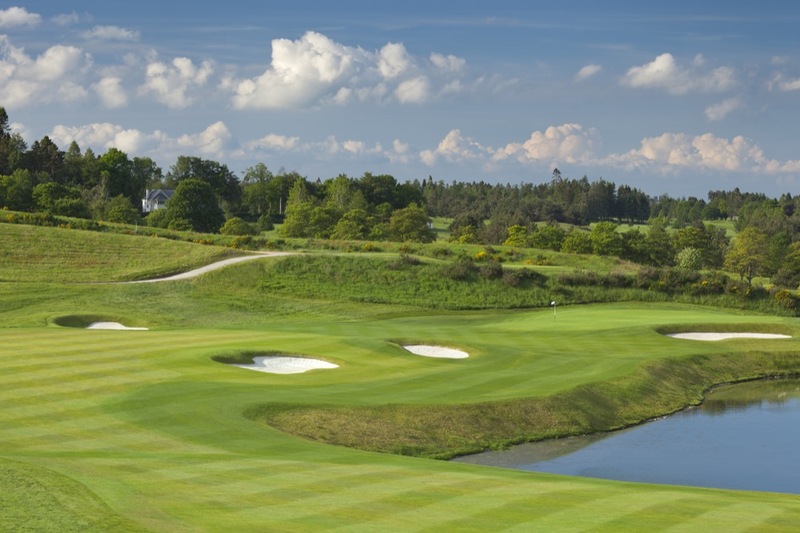 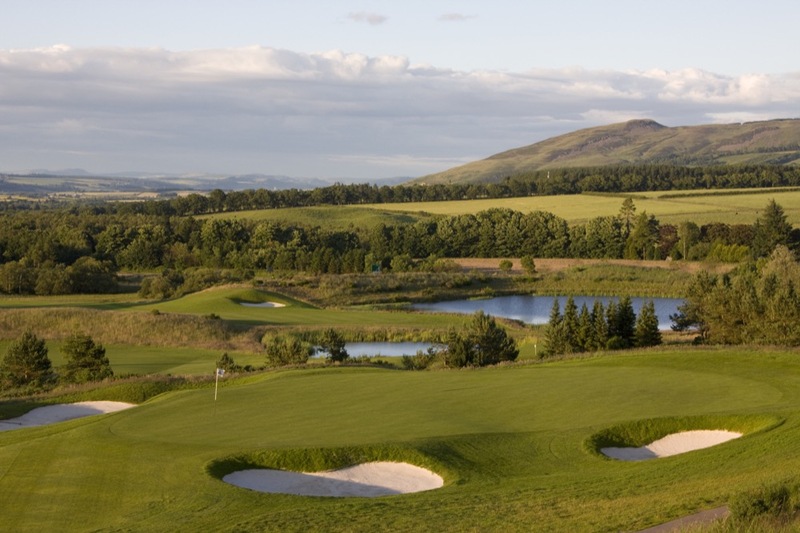 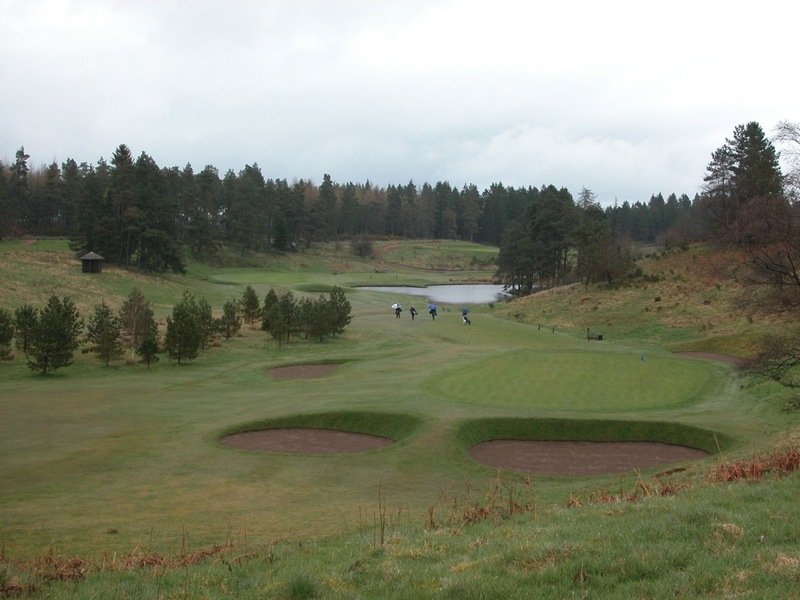 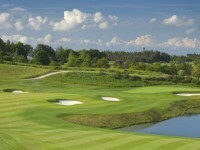 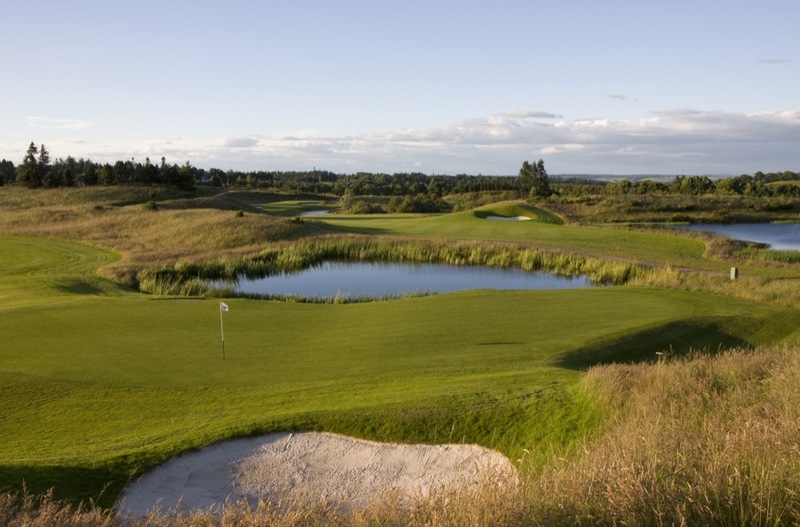 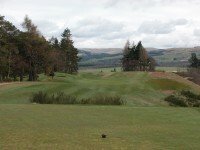 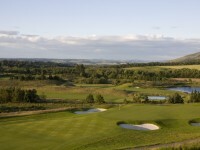 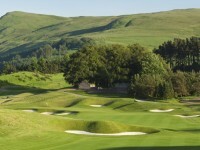 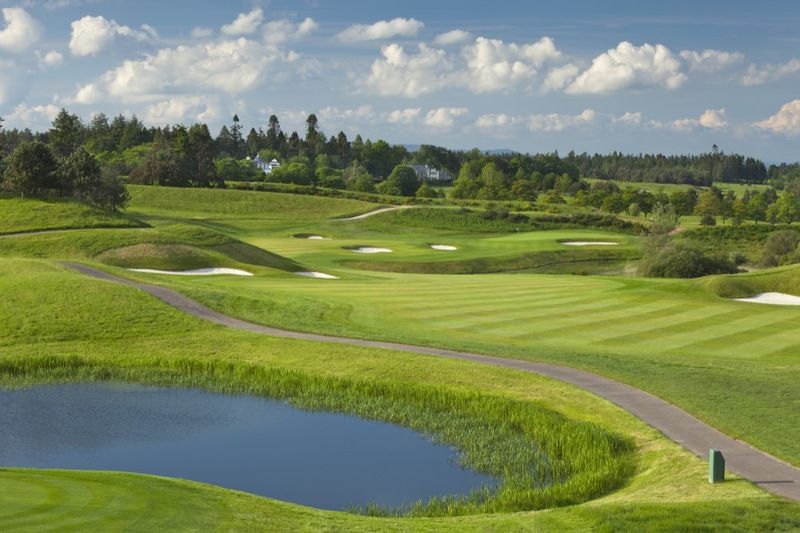 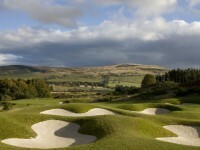 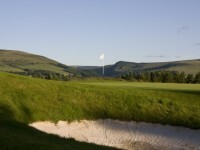 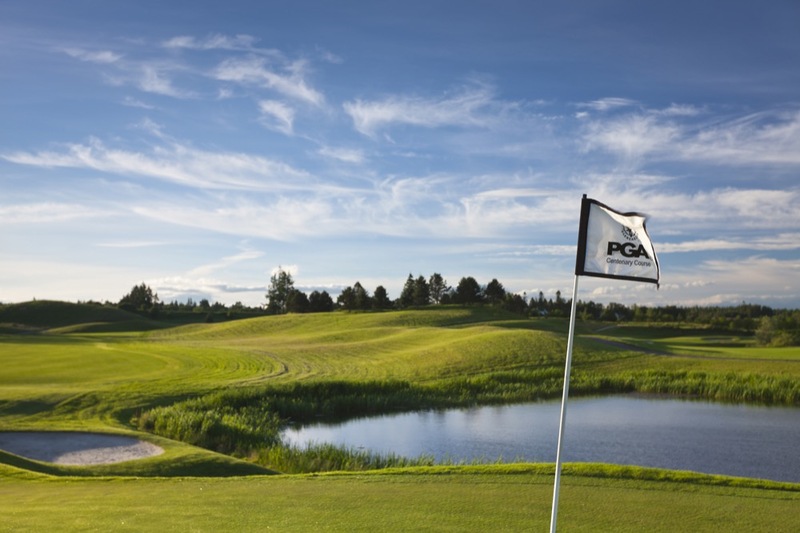 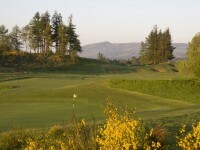 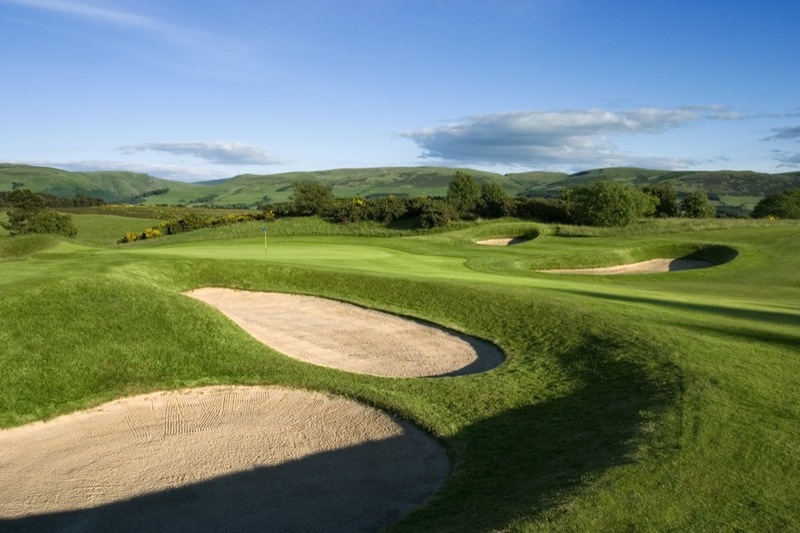 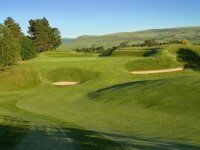 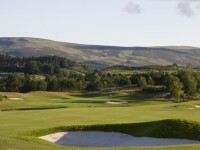 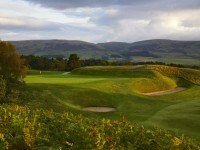 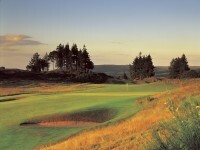 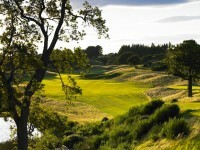 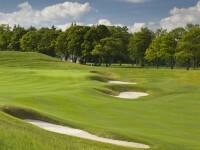 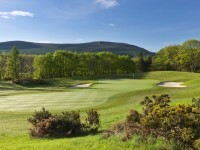 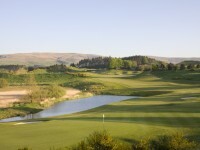 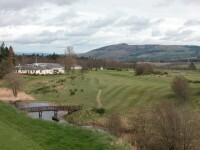 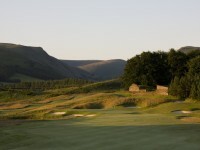 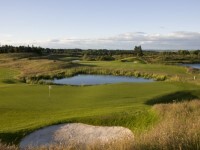 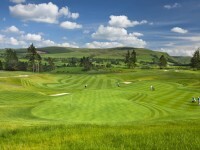 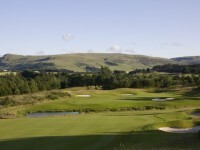 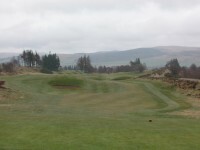 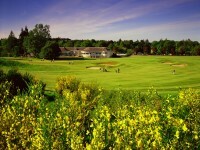 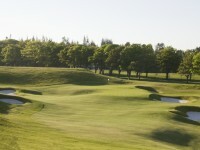 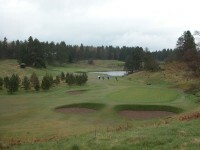 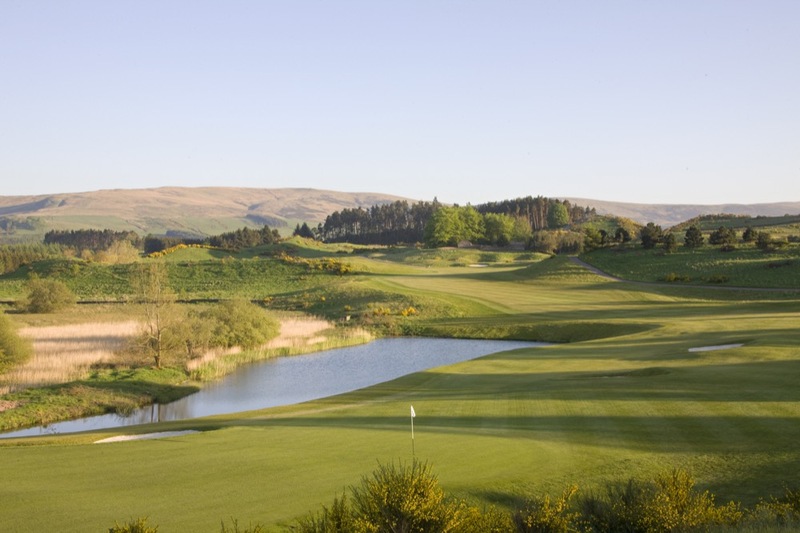 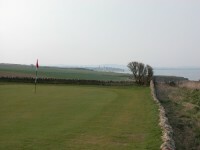 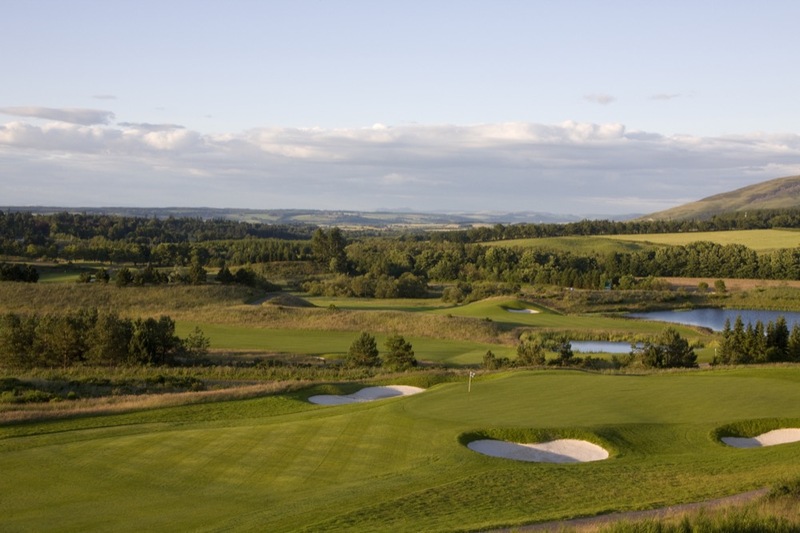 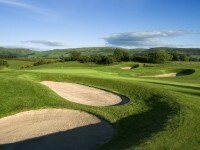 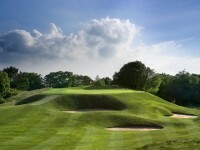 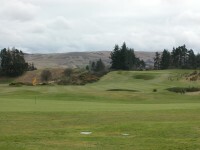 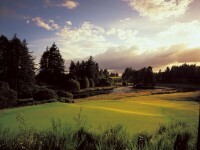 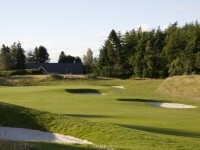 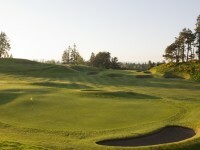 Designed by Jack Nicklaus, Gleneagles PGA Centenary Course is what most would call “Parkland golf”. 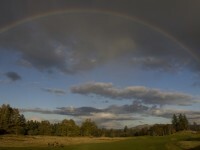 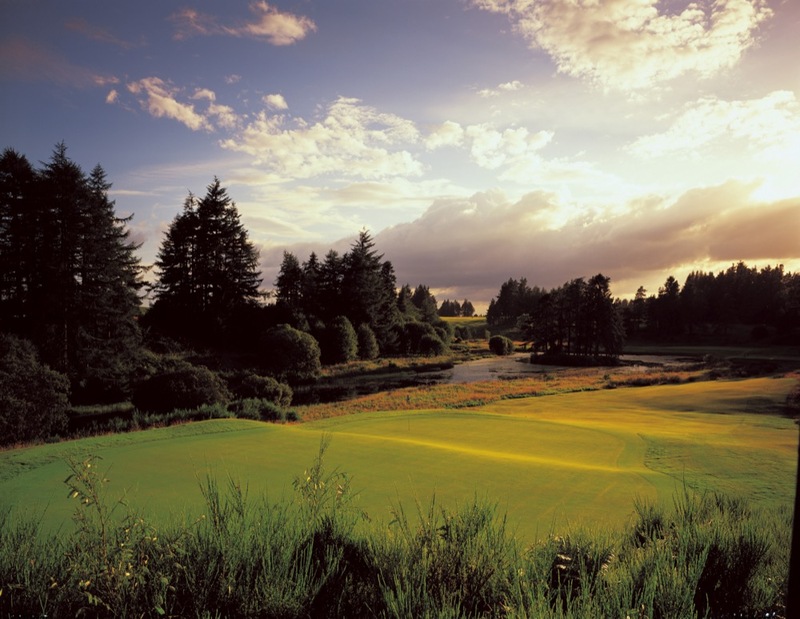 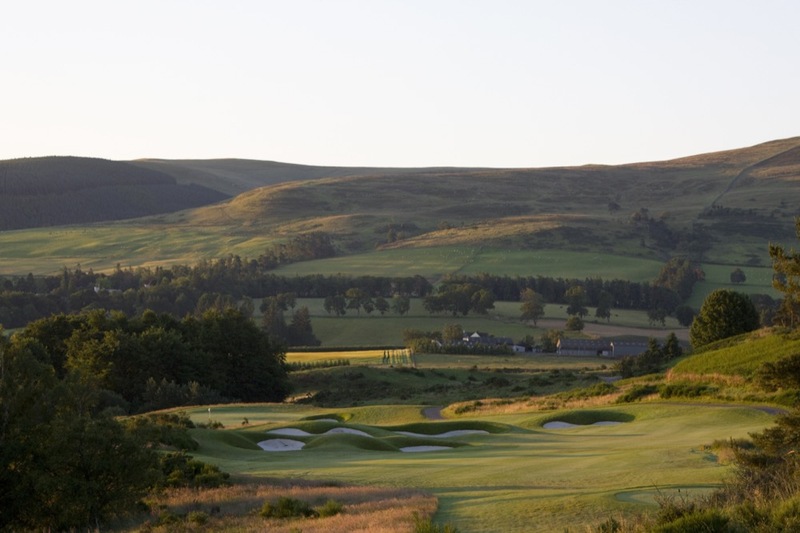 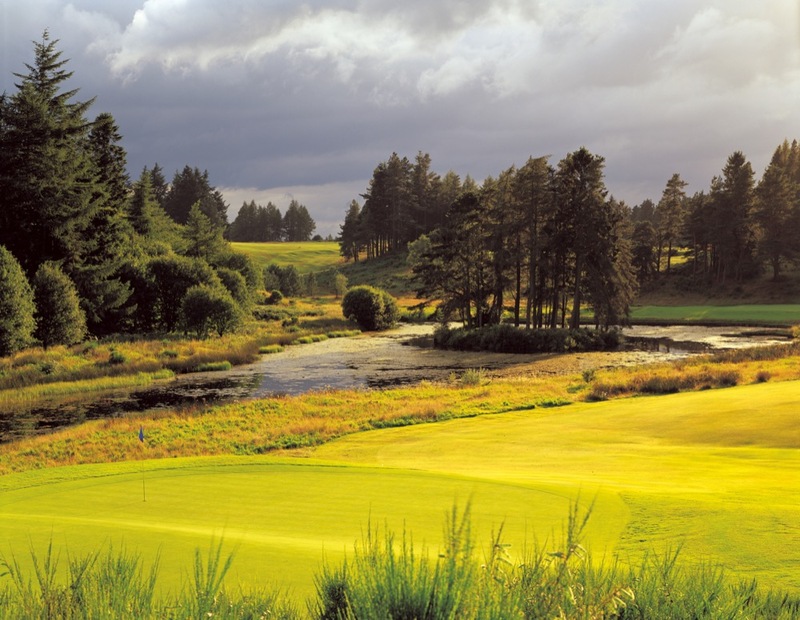 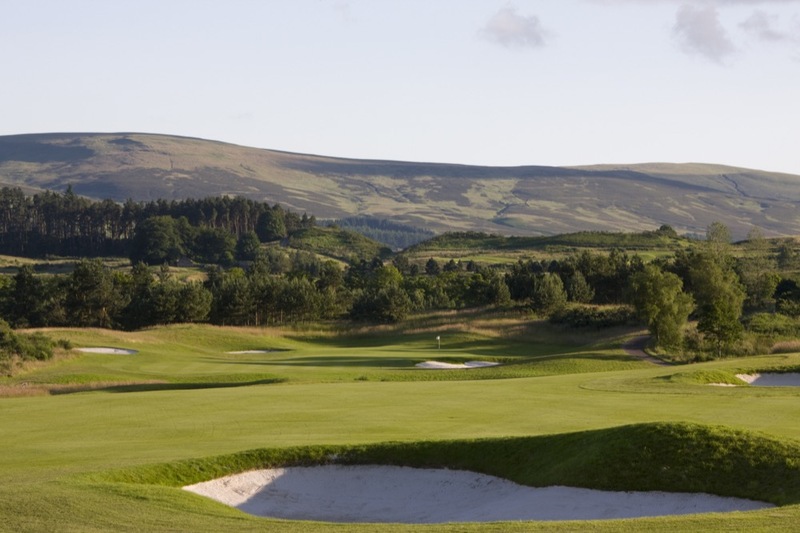 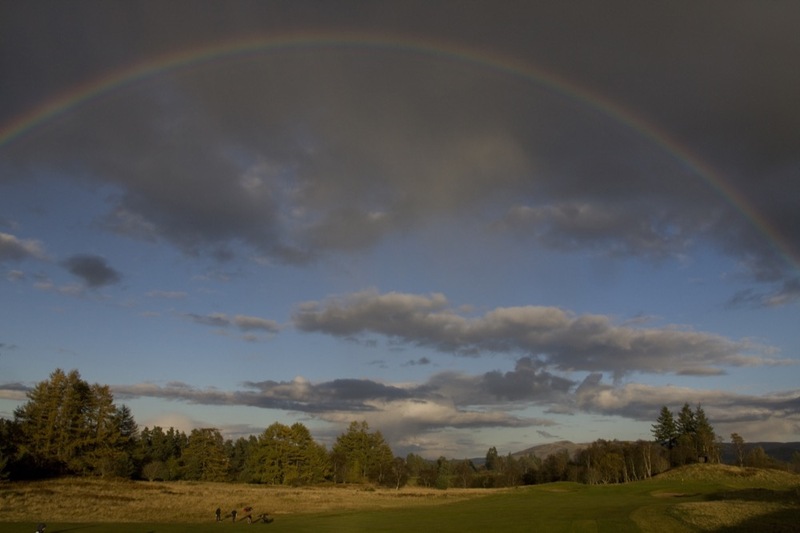 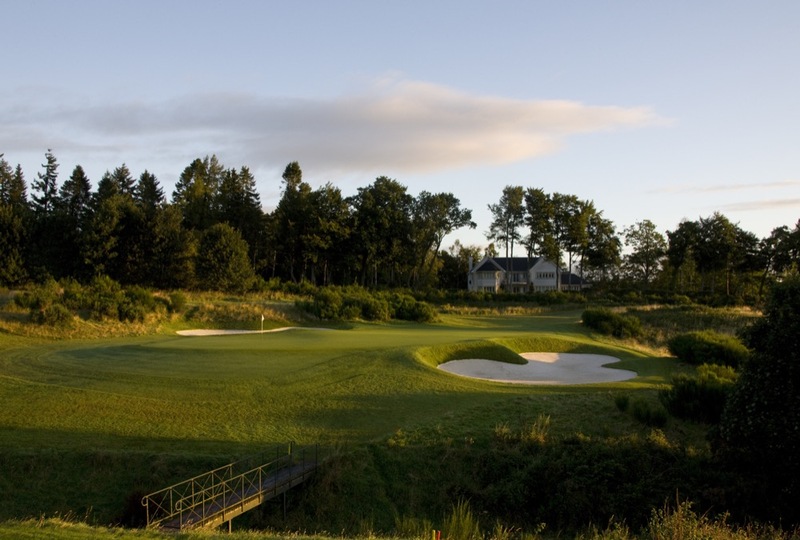 In Scotland though that comes with a twist—the views on Gleneagles PGA Course into the nearby Glen with countryside and rolling hills that seem to carry on to infinity are some of the most memorable a golfer could ever experience. 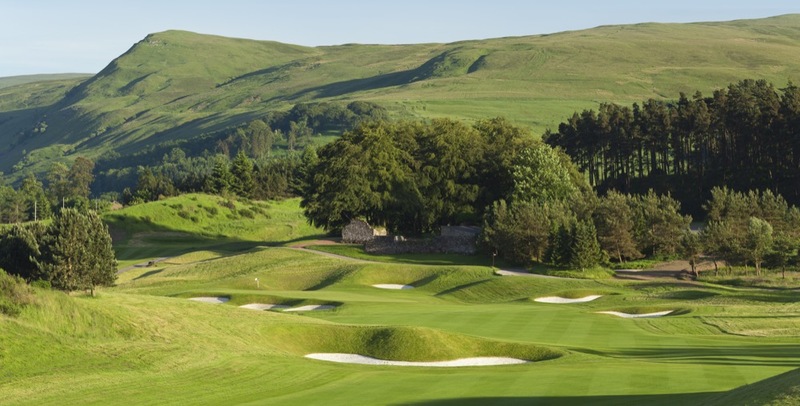 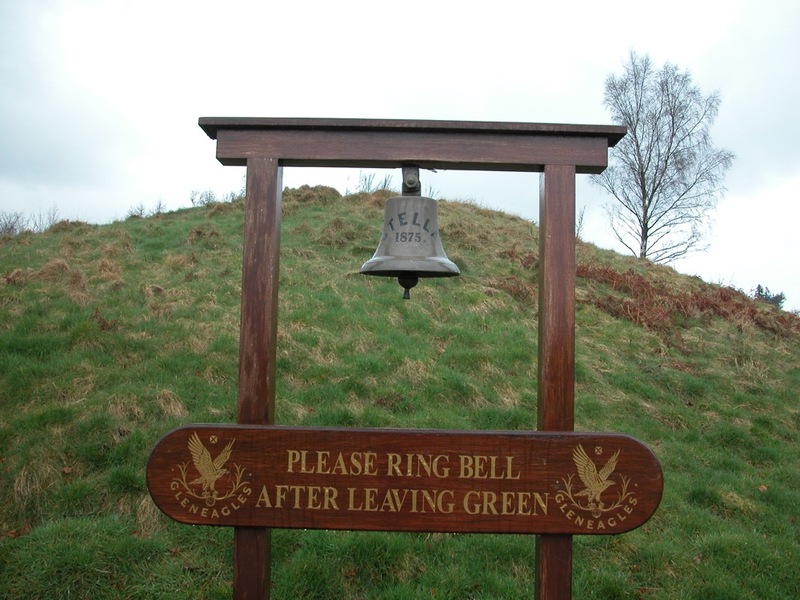 Many aficionados of Scotland golf courses would have liked the 2014 Ryder Cup to be played on Gleneagles Kings Course, a particular Hidden Links favorite! 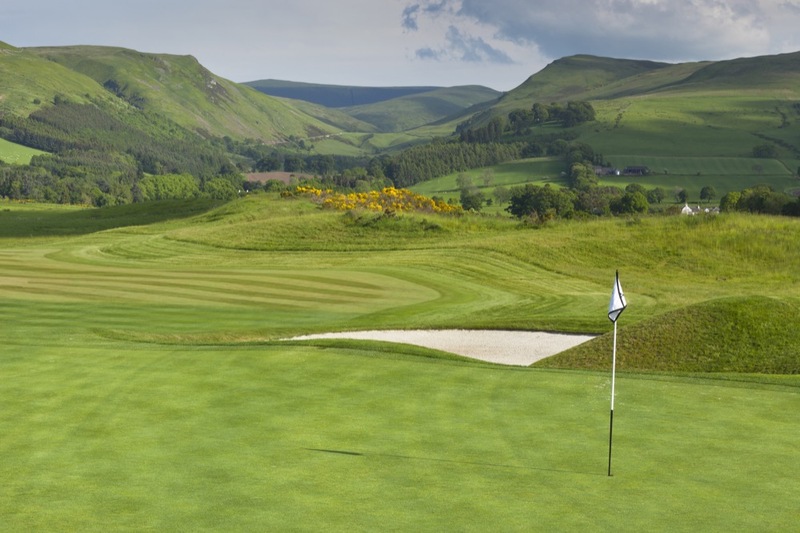 We are astounded that more people do not automatically include Gleneagles Kings Course on their list of “must play” Scotland courses. 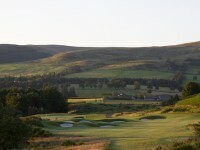 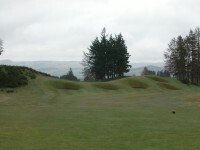 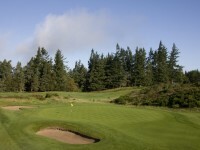 Designed by James Braid, Gleneagles Kings Course is the original championship course at Gleneagles and widely acclaimed as the preeminent inland Scottish course. 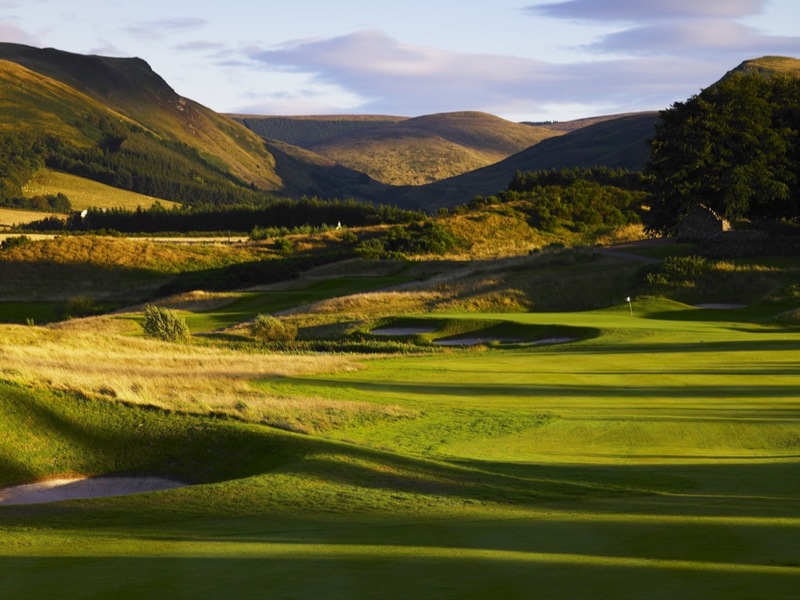 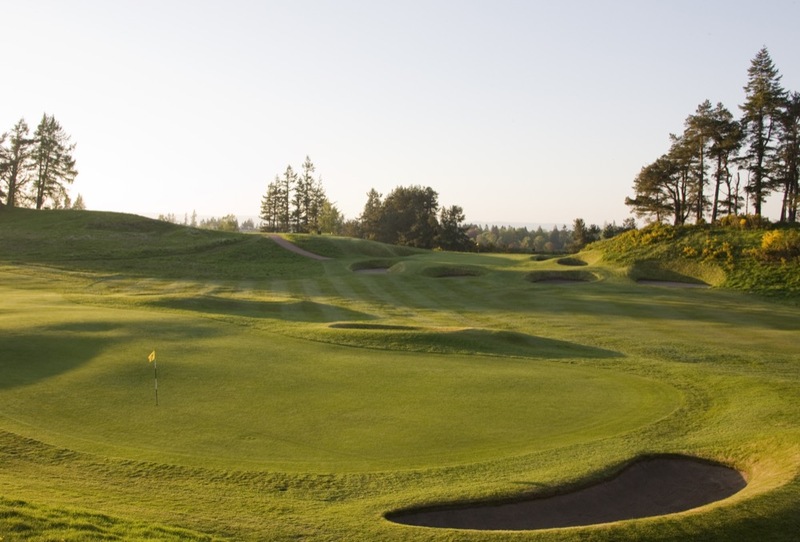 Gleneagles Kings Course plays much like an “inland links,” with superb, bouncy turf, and all of the essential elements of a great, historic Scottish links such as raised greens, deep bunkering, the occasional blind shot, humps and hillocks, and incredible beauty. 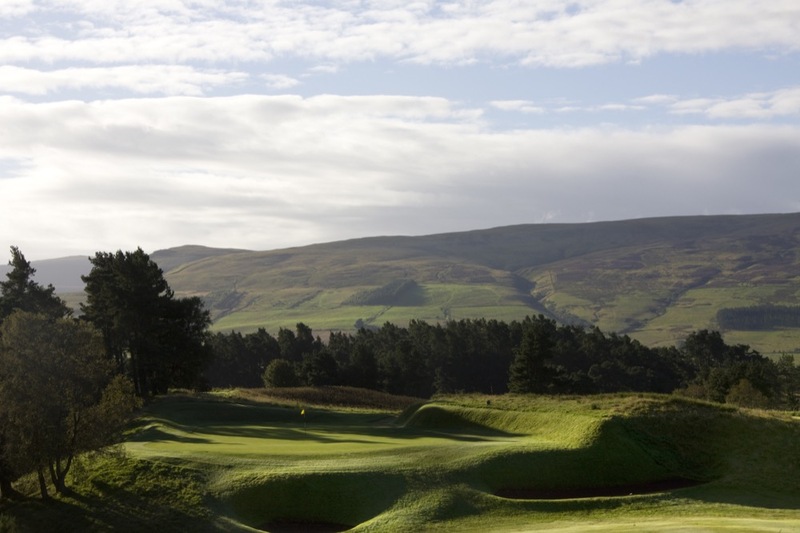 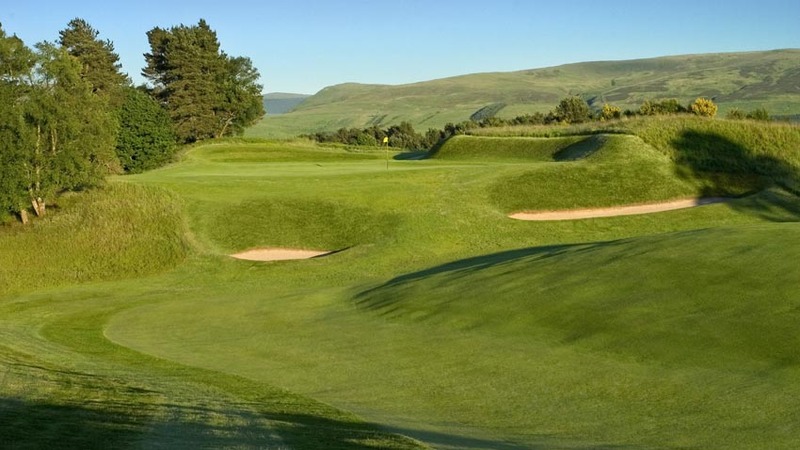 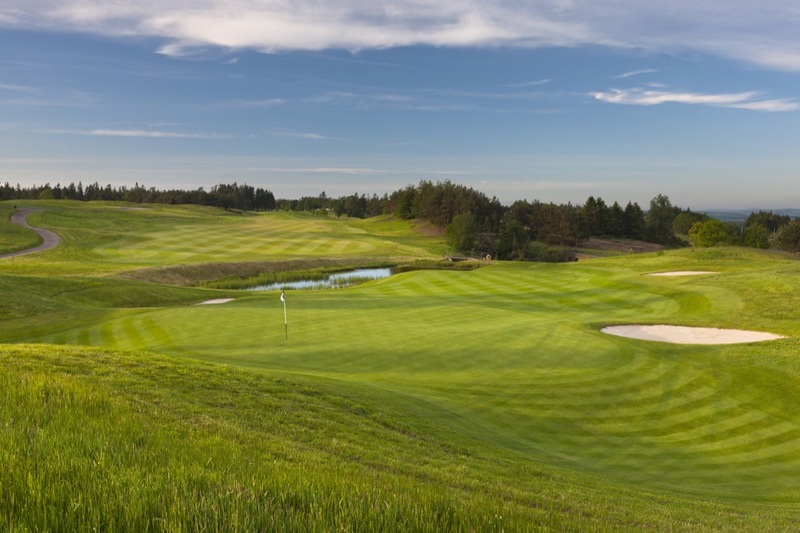 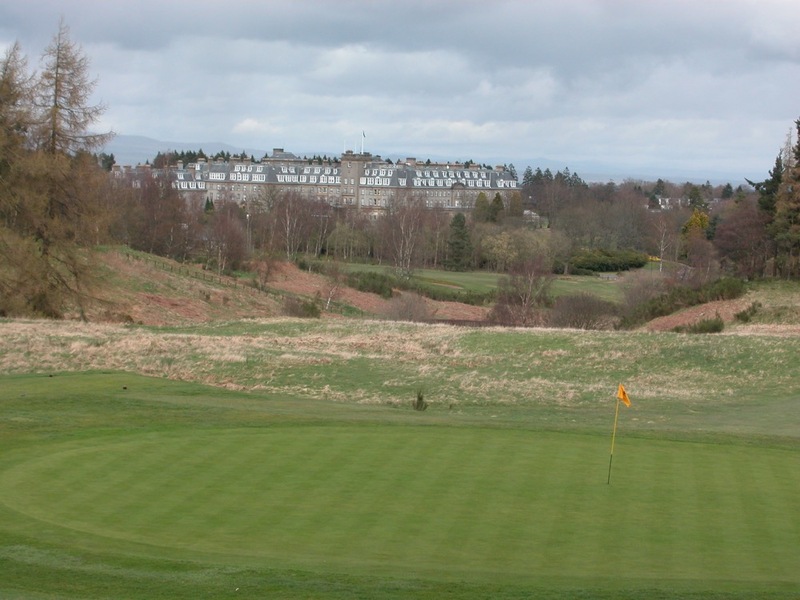 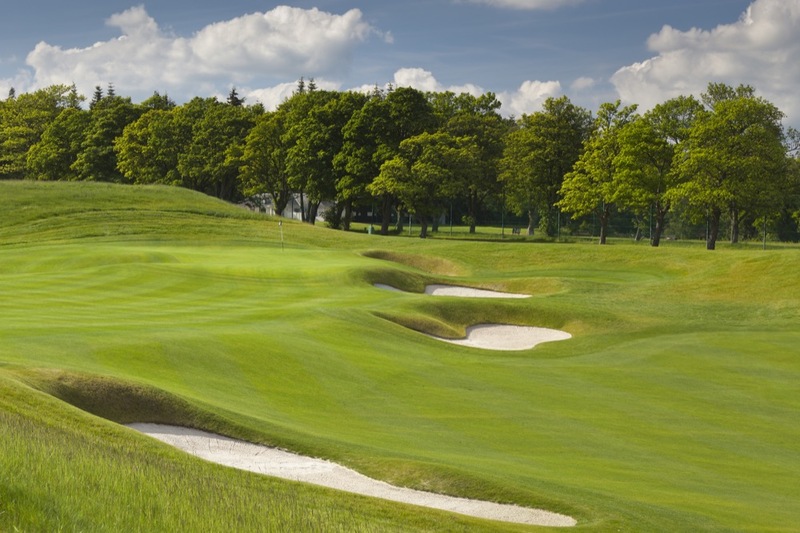 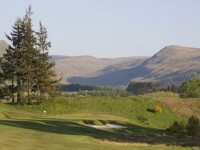 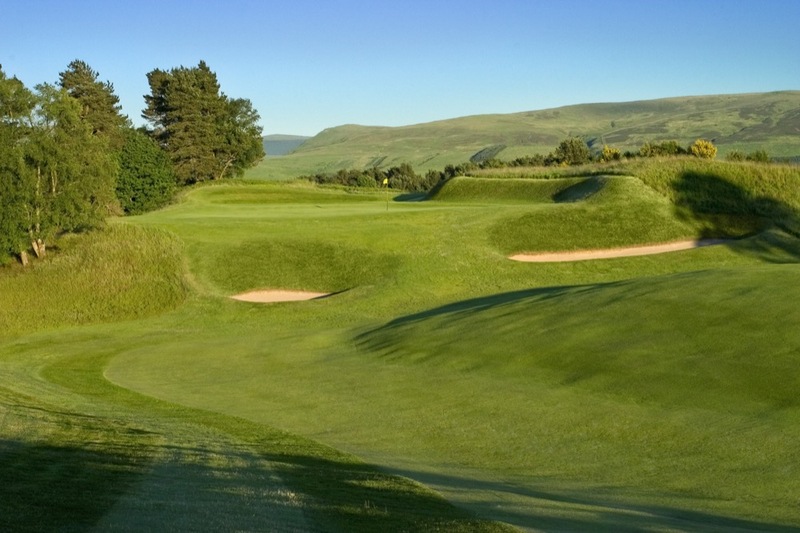 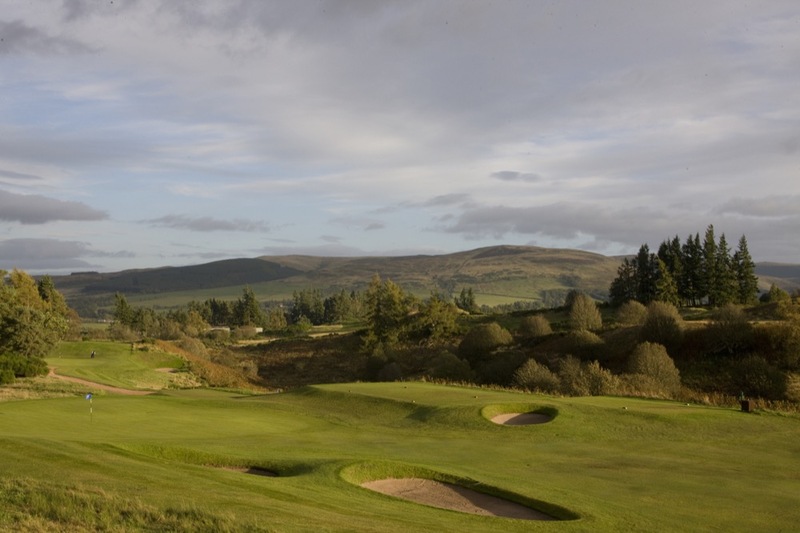 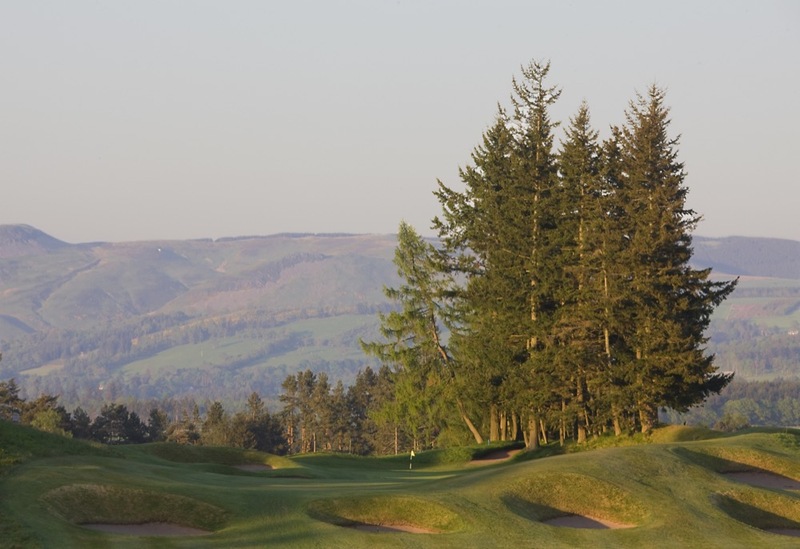 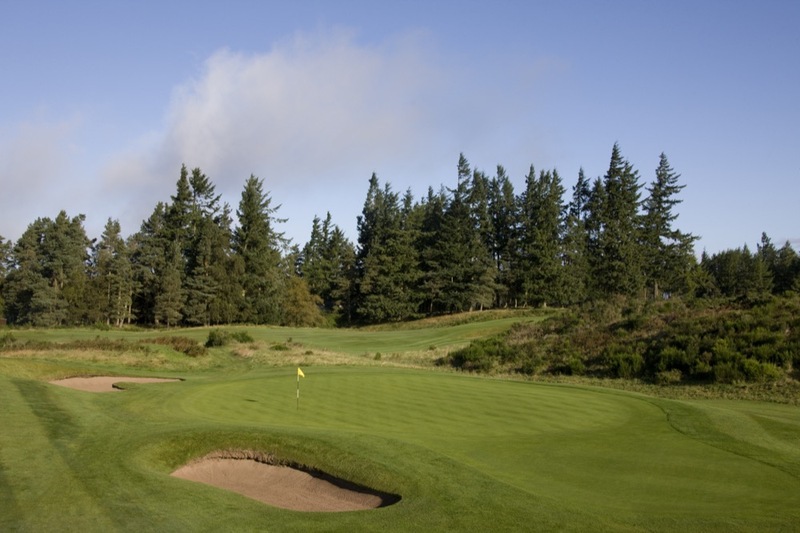 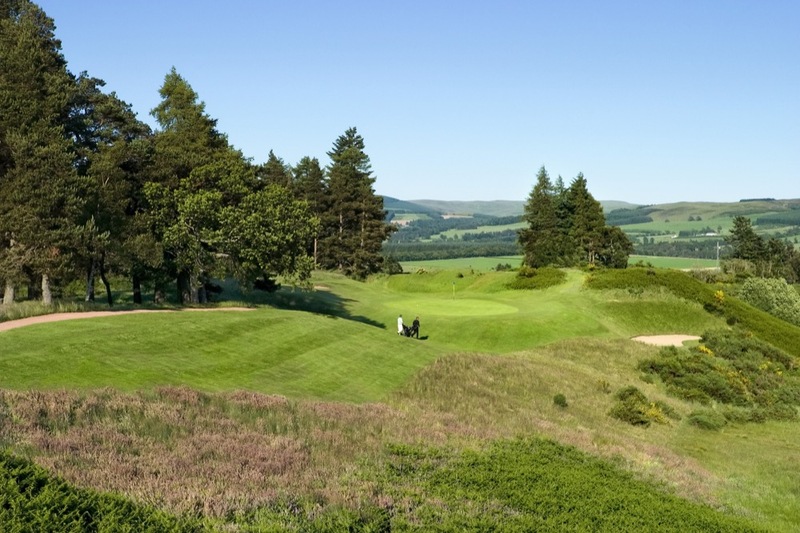 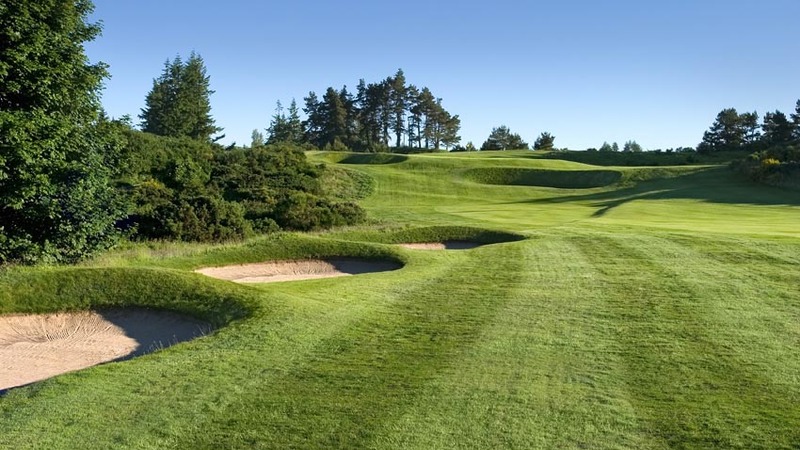 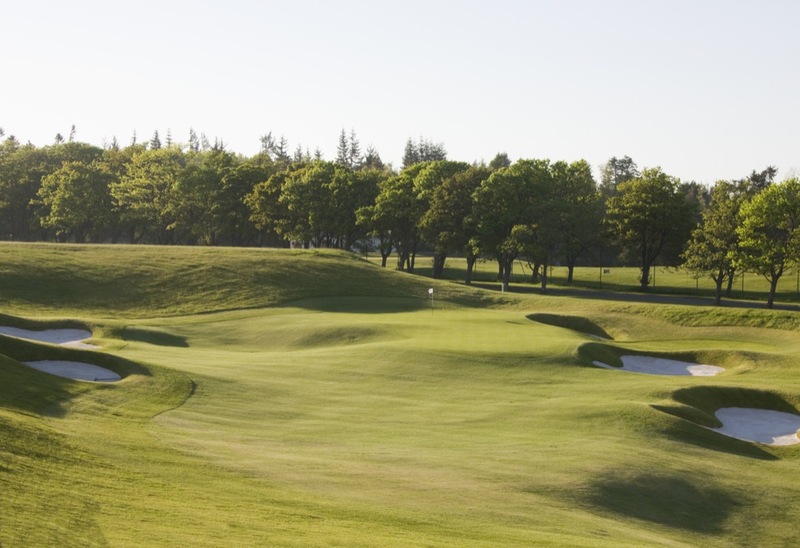 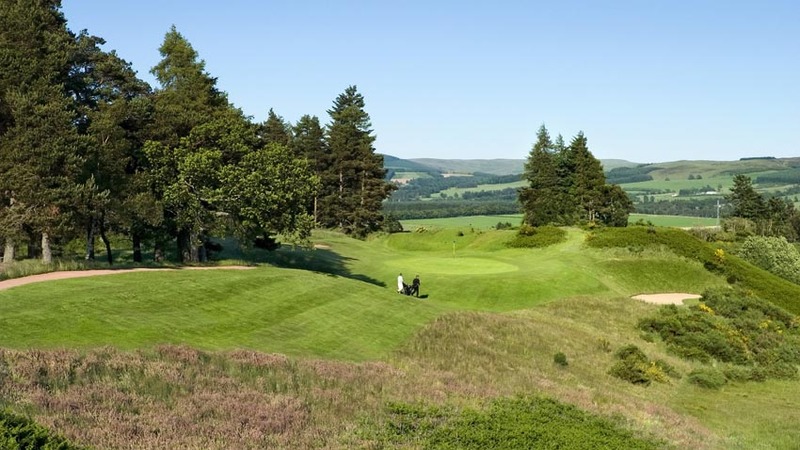 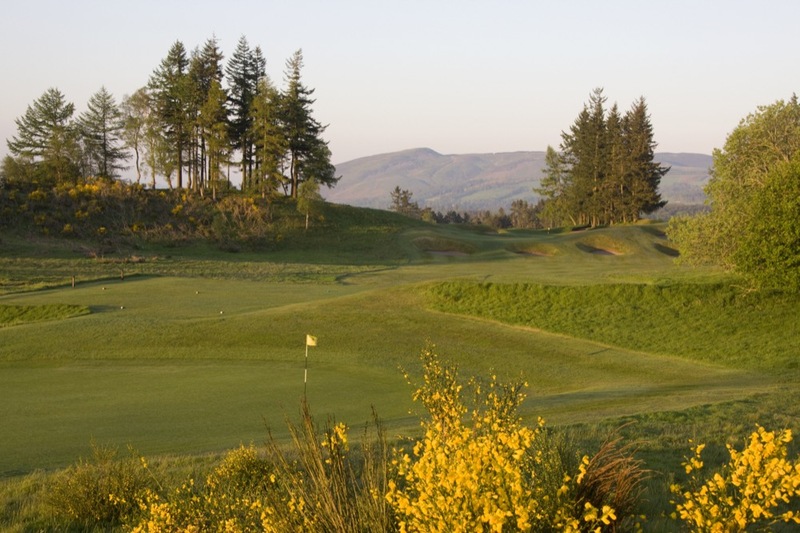 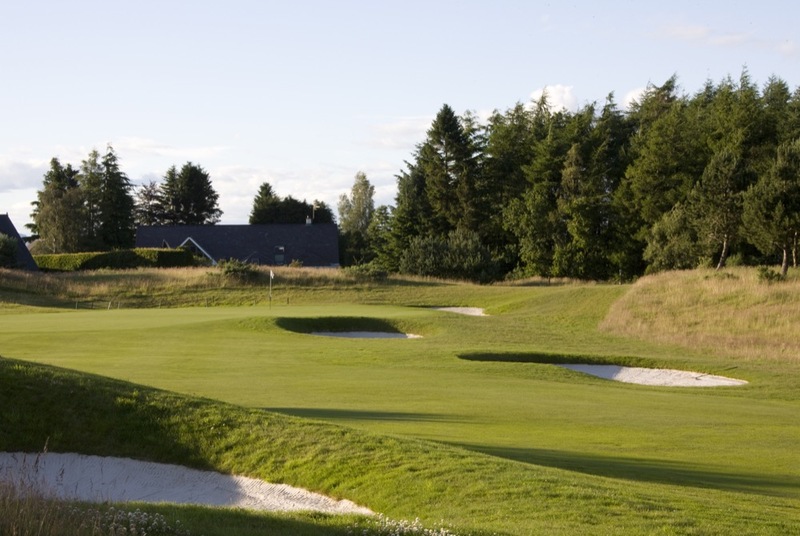 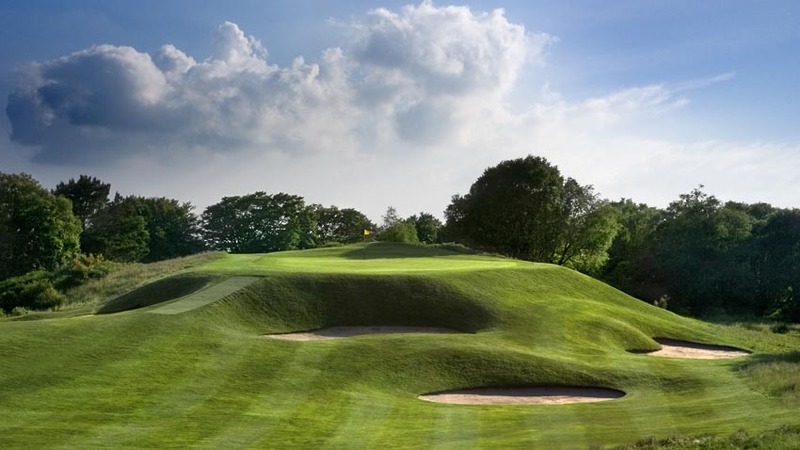 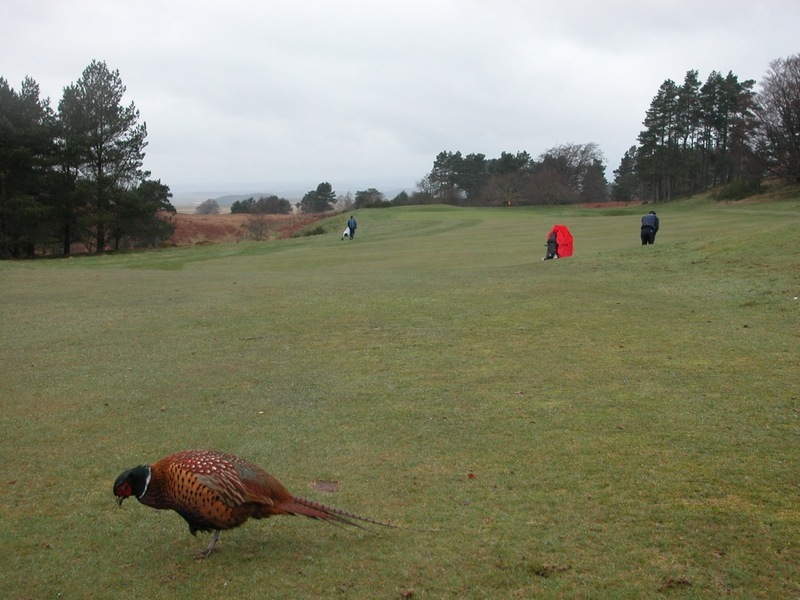 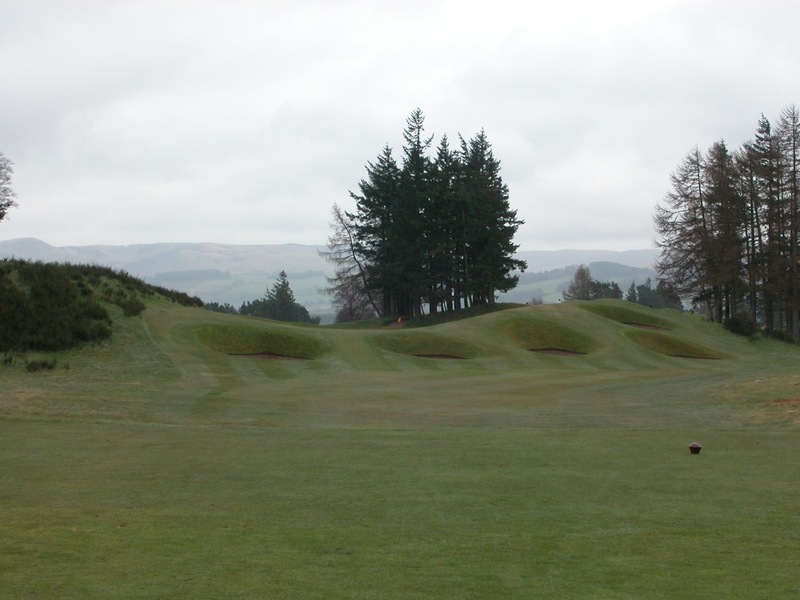 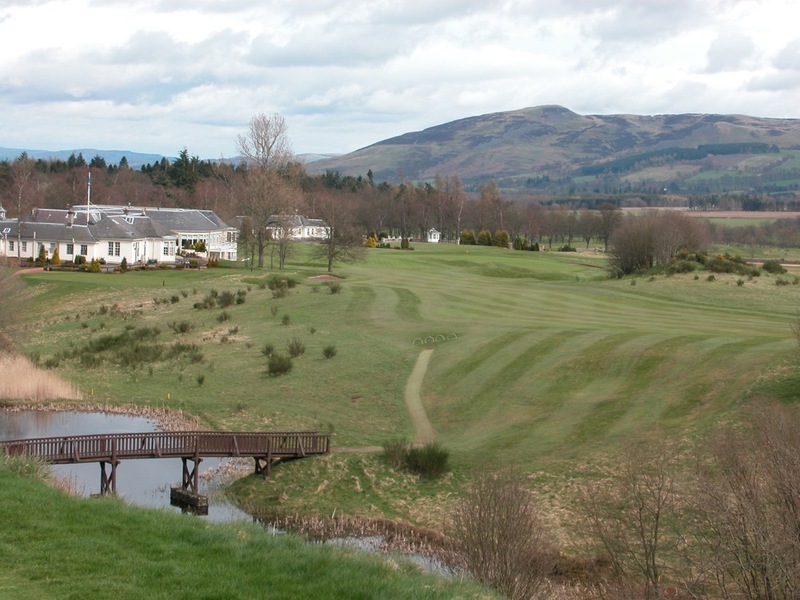 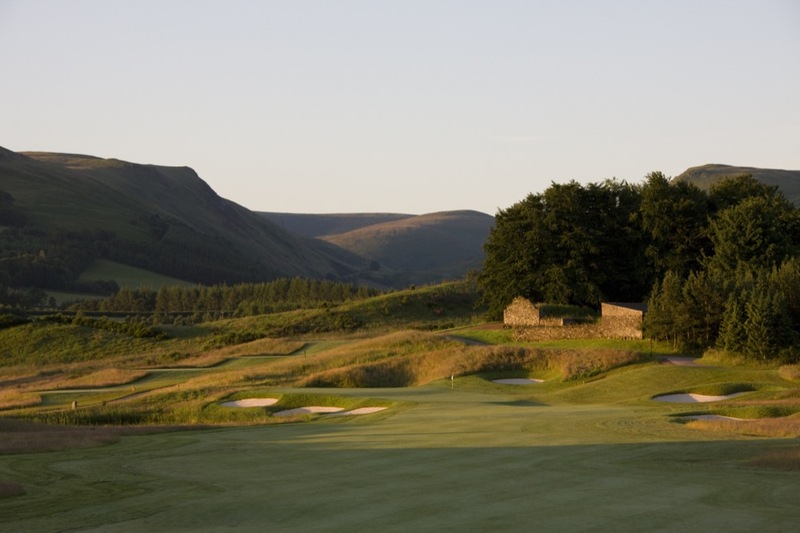 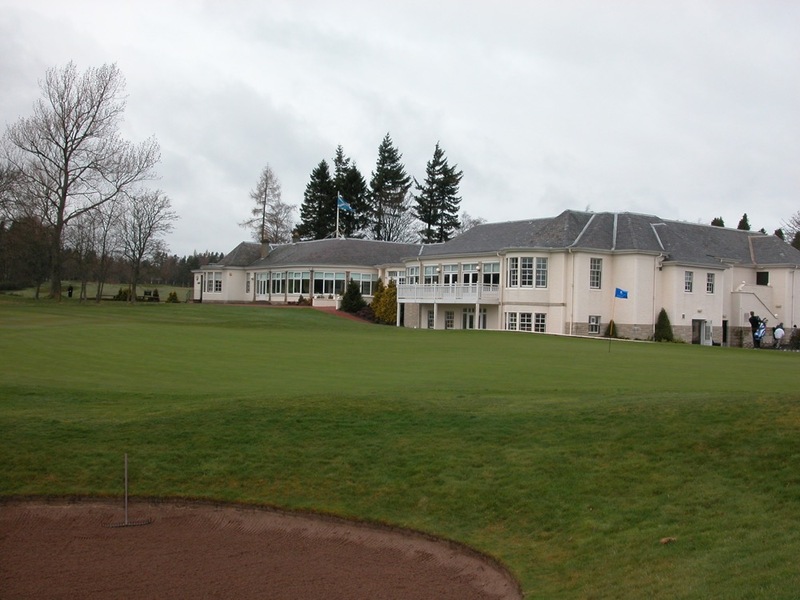 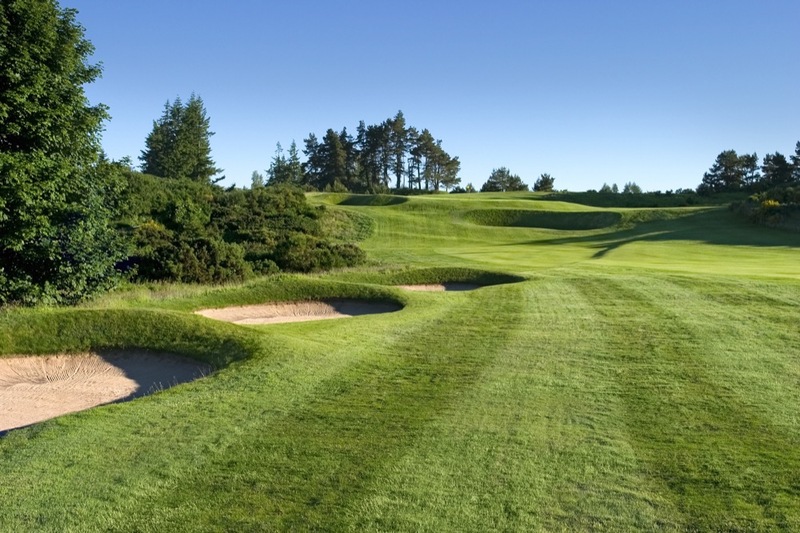 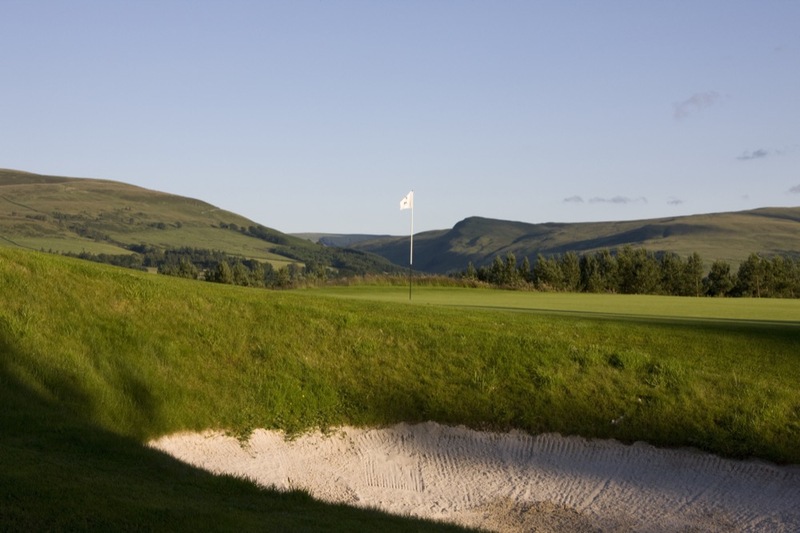 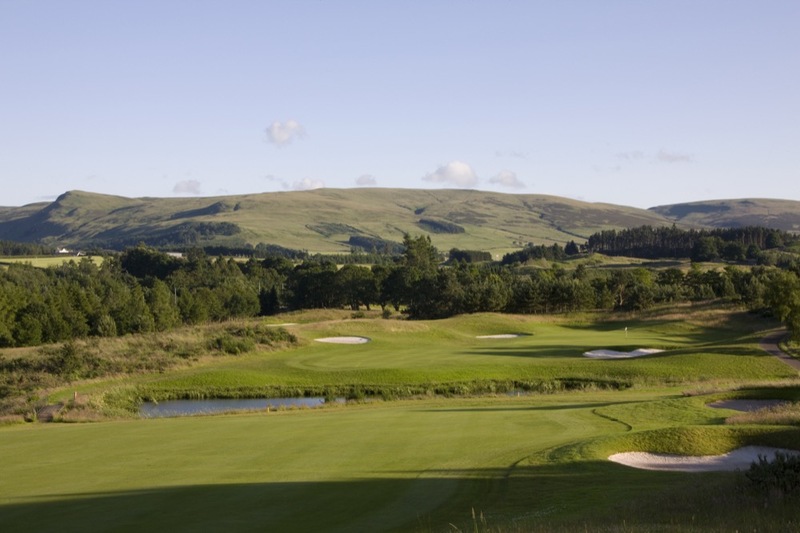 We would advise playing the Gleneagles Queens Course as well, a bit shorter but similar in style and just as beautiful as the Gleneagles Kings Course. 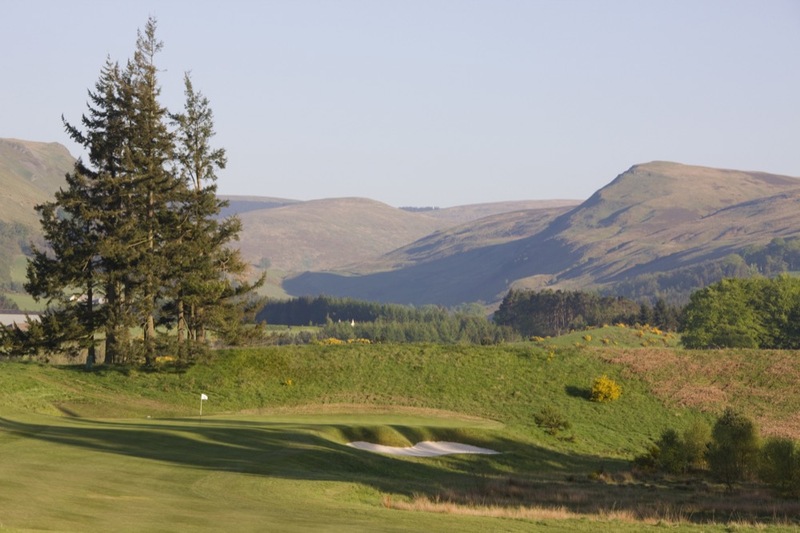 Also designed by James Braid, Gleneagles Queens Course happens to have the best hole at Gleneagles in our opinion, the magnificent downhill 18th. 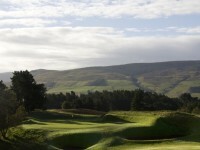 A good score is there to be had on Gleneagles Queens Course as you have 6 magnificent par-3s to attack. 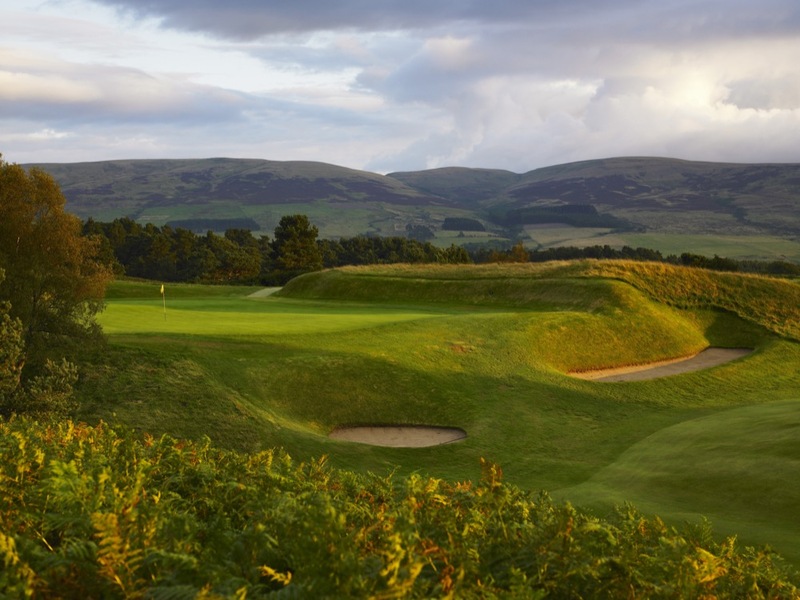 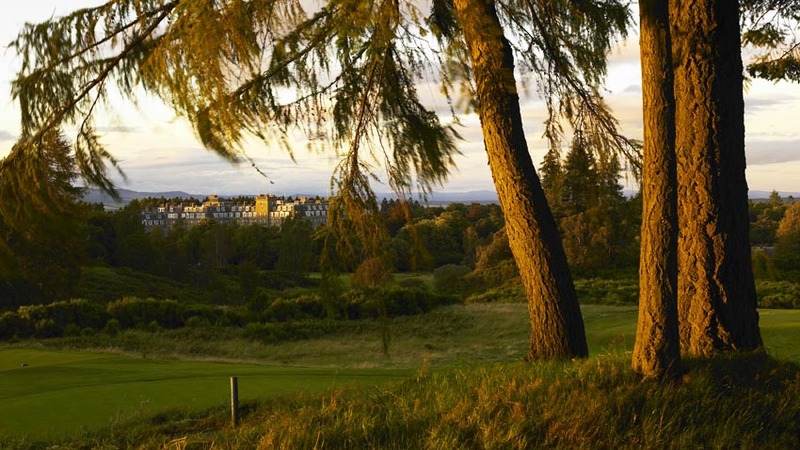 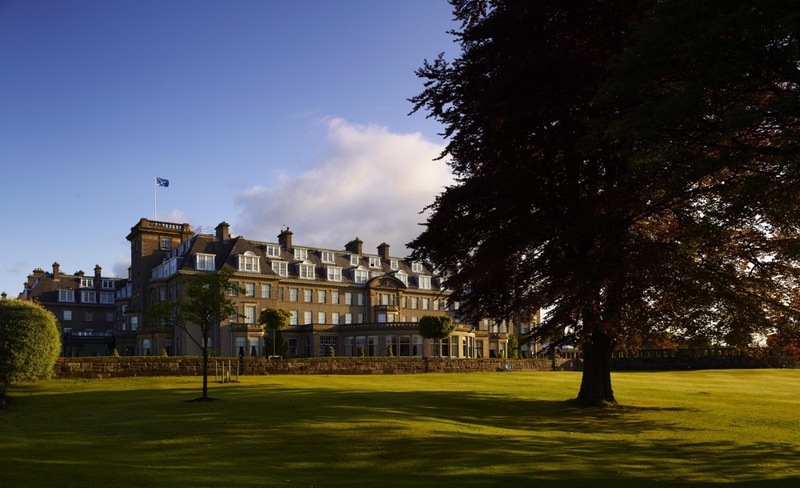 Combine the Gleneagles Hotel, the sublime setting, and superb golf on the Gleneagles PGA Centenary, Kings, and Queens Courses, and Gleneagles may very well be the best time to be had on your Scotland golf holiday!